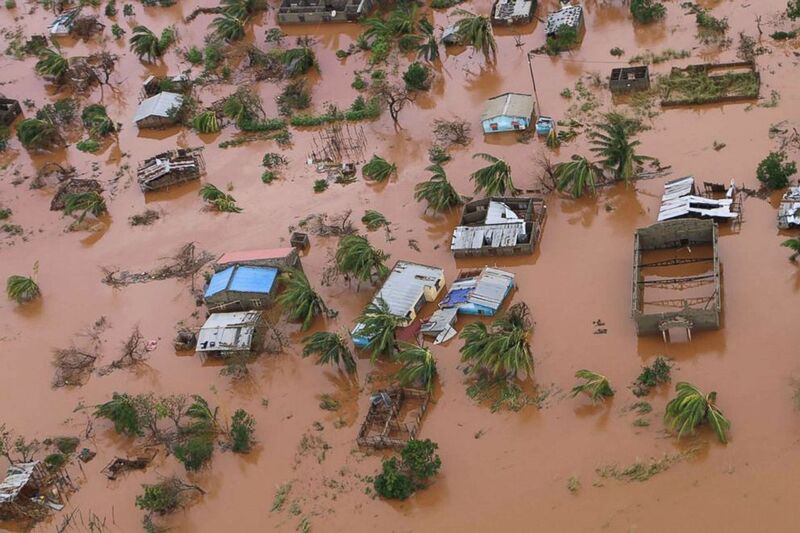 (Adrien Barbier/AFP/Getty Images) A picture shows houses in a flooded area of Buzi, central Mozambique, March 20, 2019, after the passage of cyclone Idai. 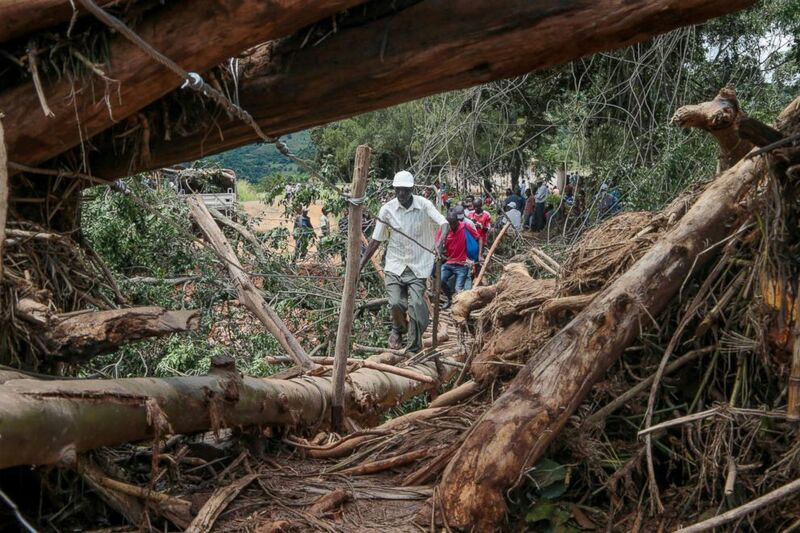 International aid agencies raced to rescue survivors and meet humanitarian needs in three impoverished countries battered by one of the worst storms to hit southern Africa in decades. 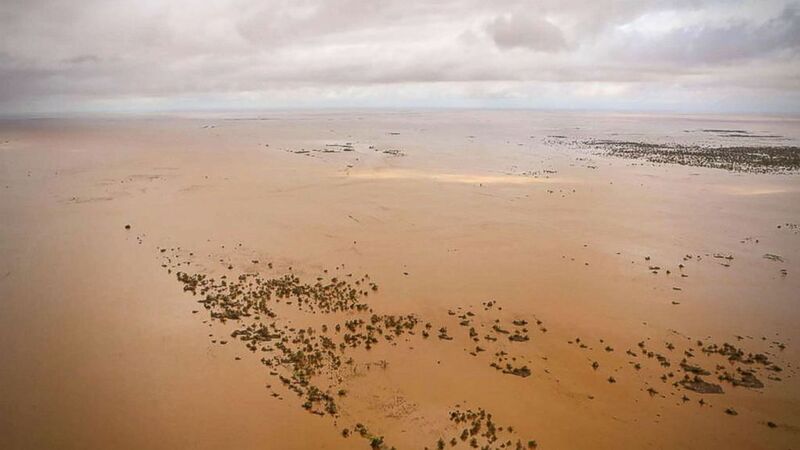 (Tafadzwa Ufumeli/Getty Images) People cross a makeshift bridge over a river that surged days earlier during Cyclone Idai, March 20, 2019, in Chipinge, Zimbabwe.